if you need to sponsor family you should consider whether RRV or the New Zealand 189 visa is best for you. 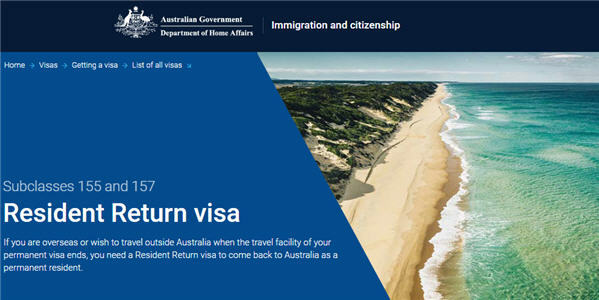 When applying for a Resident Return Visa you must provide written statements explaining your ties to Australia and any absences from Australia of five or more continuous years. Your written statements should include as many details as possible. For example, do not just refer to your partner, child, or Mother, give their full name and date of birth. Include copies of their full birth certificates, and passports if they live in Australia. Provide evidence of your personal, employment, cultural or business ties to Australia now that you live here. State the date you moved to Australia. Provide your travel records and a certified copy of your passport photo page. Your passport must be valid for at least six months. Australian employment history or business ownership. Provide your employer/company name, your role, dates worked or business owned. Provide certified work contracts/letters of offer, and tax documents if self-employed. Provide your home address, a certified rates bill or lease agreement. Your partner, children or extended family in Australia. Provide the full names, passport numbers, residency status of family members and your children’s birth dates/place of birth. Provide certified copies of passports, children’s birth certificates, and a letter/report from their school. Sporting, cultural and community involvement, eg helping at your child’s school, volunteer work etc. Name the organisation(s) and your details of your involvement and provide proof of involvement or a character reference. Provide reasons for any continuous absence of five or more years since the date of your last permanent visa, ie since you were last in Australia prior to 1 September 1994. Most people have events in their lives that mean they cannot easily return. It doesn’t have to be the reason you left Australia, or cover the entire period of absence. Returning on holiday restarts your period of absence. You were a child when you visited/lived in Australia. State you had to return to New Zealand with your parents and complete your schooling, name the school(s) and years attended. You undertook studying or training. Provide details of your qualifications, the tertiary institution/organisation, and year(s) you studied/trained. Provide certified copies of any qualifications or certificates. You were gaining work experience of benefit to Australia or operating a business. Provide your employer(s) name, your role, dates worked. If self-employed/business owner provide name/details of business owned and tax documents. You needed to support a family member due to an accident, illness or bereavement, or required the help of family whilst studying, raising children or due to a relationship breakdown. Provide relevant names, dates, and details of the situation. If applicable, provide certified supporting documents, eg a doctor’s certificate, birth or death certificates. A child attending school in New Zealand is not a valid reason for being absent as they could go to school in Australia. However, if would be acceptable if they were studying at university in New Zealand because they can’t access a HELP loan in Australia. The above “Preparing your Resident Return Visa written statements” information should not be relied on as an alternative to advice from the Department of Home Affairs, or a professional immigration services provider.